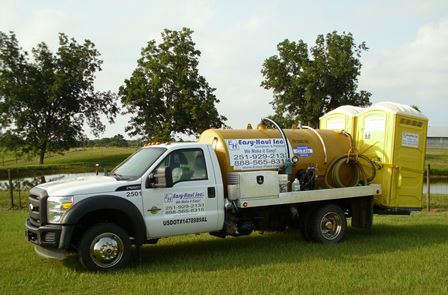 Portable Restrooms - Easy Haul, Inc.
We offer portable restrooms for your jobsite or special event. Our restrooms are clean and well maintained. We use only top quality supplies and thoroughly clean weekly and before each delivery. All restrooms include hand sanitizers at no additional charge. Our portable restrooms can be rented on a per month basis or just for duration of your event. We also have hand washing stations, holding tanks and high-rise lift restrooms. Contact us for more details and to get a no hiden fees quote.